Meeting and greeting your guests at airports can be fraught with problems. Passengers on different flights, landing at different terminals or even different airports. Drivers unable to leave vehicles unattended, flights arriving early or late all add up to a potential nightmare if left to chance. Our Meet and Greet service provides smart, efficient and experienced staff to welcome your guests as soon as they clear customs and ensure that they are able to meet up with their transport for onward transit. 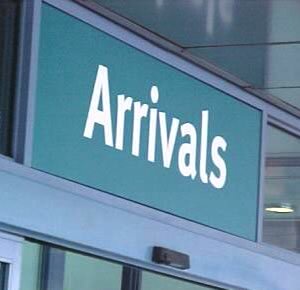 The service operates effectively for one individual transfer or a whole programme involving thousands of delegates, and is available at any airport, railway station or port in the UK. A large conference or meeting usually entails delegates arriving either individually or in groups of varying sizes. Showpax will be on hand to manage the whole programme, providing vehicles of any size, and able to adapt quickly and efficiently to late flights, cancellations and even diversions to different airports.